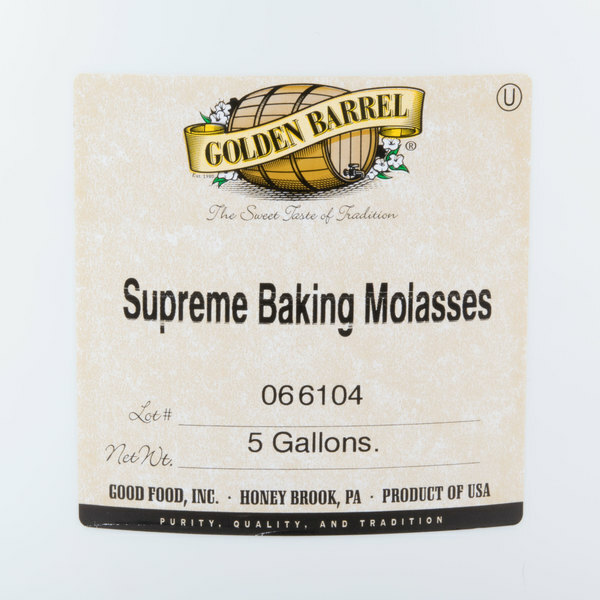 Add warm brown color, moisture, and savory sweetness to your favorite recipes with this 5-gallon pail of Golden Barrel Supreme baking molasses! This baking molasses, made from cane sugar, is the result of a process in which sugar syrup is boiled down in order to create sweet, viscous liquid. This molasses, unlike refined sugar, is packed with flavor and contains important daily minerals such as calcium, magnesium, potassium, and iron! Substitute this healthier, sweet molasses for sugar or other sweeteners in any recipe! Add robust flavor to confectionaries like cakes, muffins, pies, and cookies, or any number of dishes. Golden Barrel offers the highest quality baking products made from the finest ingredients. 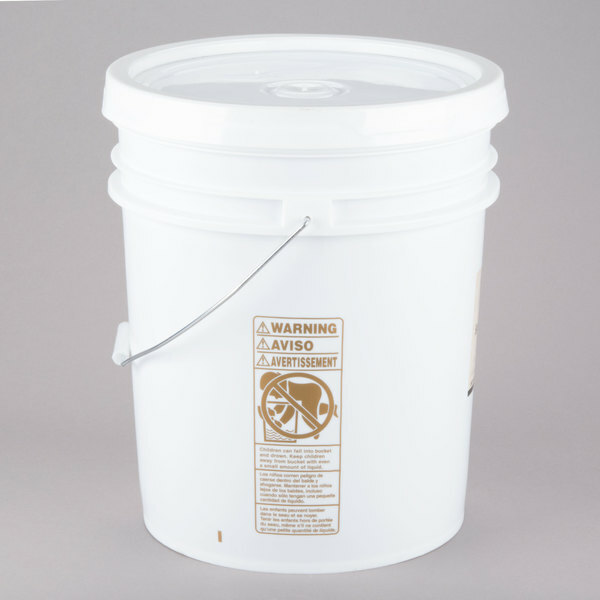 This richly flavored, unsulfured, nutritional baking molasses comes in a sturdy, white plastic 5-gallon pail with handle. This is a sweeter flavor molasses - kind of in between Grandma's (which is super sweet) and a blackstrap which is more bitter. It's perfect for our use; however, I use it for baking and am currently using a ladle since it doesn't have a spout. I'm going start funneling into gallon jugs because it's way too time intensive (and messy!) to use a ladle. Other ideas welcome. :D Overall, a great molasses for baking. 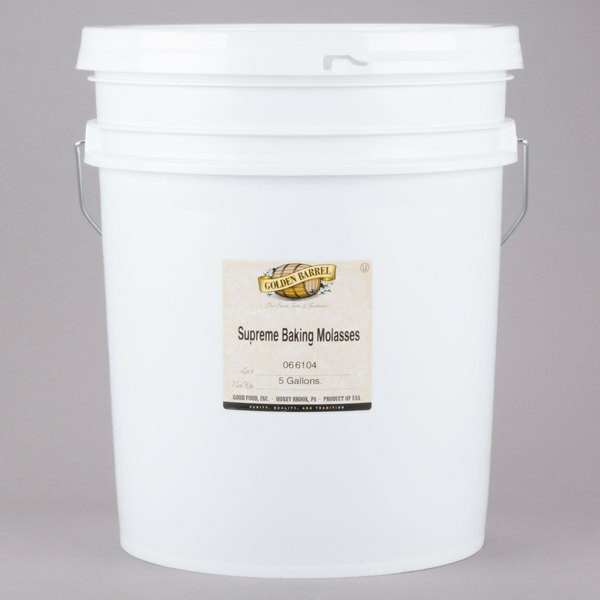 This 5 gallon golden barrel Sulfer free supreme baking molasses could not find better anywhere else. Trust me, if you buy this one you will be very happy.